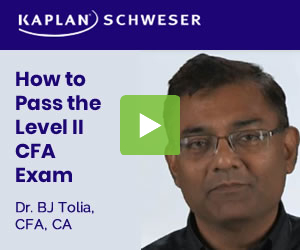 A few years ago I used a certain CFA package to study for my exam but I don’t remember the name. It’s not Schweser and it’s not Efficient Learning. I also don’t believe it to be Stalla. The books and mobile app used black and red consistently; that’s my primary recollection hat the company’s logo and all apps were in a black and red. Will anyone remember the name of the company? They used to be a popular alternative to Schweser around 2010 particularly.